He then went on to quote a definition of government that excludes First Nations. “It is incorrect to say the minister denied that Yukon First Nations are a real government, and in fact, we acknowledge that First Nations are governments,” his office told the Star in a release today. Despite that definition of terms, the UFA treats all three signatories — both “governments” and the Council of Yukon First Nations (CYFN) — as equal parties. The UFA is a template for aboriginal land claims in the territory, and is incorporated into all 11 final agreements between First Nations, the Yukon and Canada. The contentious remarks, supposedly made during a meeting Monday with Yukon chiefs in Ottawa, drew criticism from First Nations leaders and opposition critics at the territorial and federal level. “We came down here on the invitation of the minister to discuss this, and he totally insulted our First Nations, he totally insulted our agreements and it’s like ‘business as usual — too bad what you think,’” said CYFN Grand Chief Ruth Massie. “It is an insult and a signal to First Nations everywhere that our views don’t count,” added the former NDP cabinet minister and Liberal MLA. 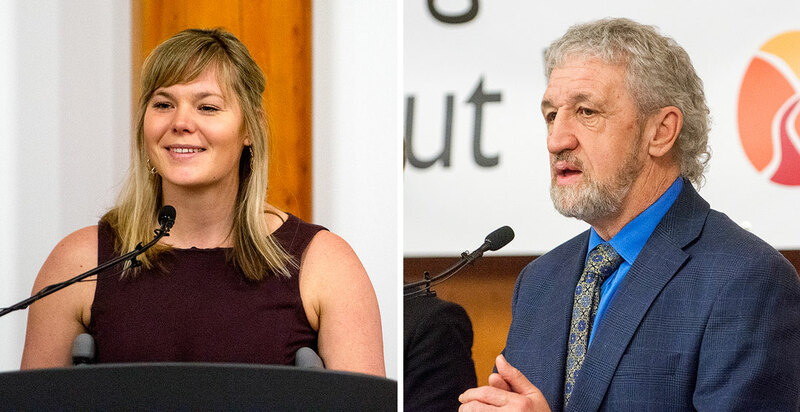 The morning standoff preceded a debate in the House of Commons over proposed changes to environmental assessments in the territory that, critics argue, give too much power to Ottawa and ride roughshod over green concerns and economic security. “The answer to that question is of course not,” Pasloski replied. The letter, supported by a second one from Kaminak Gold Corp., also stated that “the full support of all levels of government” — including First Nations — would mean “greater certainty” for miners. Bill S-6, which came before the House for second reading this week, includes several key planks that affect assessments in the Yukon. It allows the federal or territorial government to impose policy direction onto the executive committee of the Yukon Environmental and Socio-economic Assessment Board (YESAB). The law also seeks to impose end-to-end timelines that shrink the window groups would have to request more information from proponents, though companies would have ample time to respond. The requirement for a new assessment when a company wants to renew or expand its project would also be loosened. Valcourt let it slip Monday that several of these amendments came directly from suggestions by the Yukon government. Pasloski said in the legislature the bill “creates an opportunity for us to be competitive, because that has a greater chance of creating investment in this territory which creates jobs for Yukon families. “On this side of the house, we believe in genuine dialogue with First Nations. We do not — like the members opposite — engage in political stunts and grandstanding about taking trips to Ottawa,” he added Thursday. Bagnell highlighted the years spent hammering out legislation in the late 1990s and early 2000s by “three equal governments,” as well the five-year legislative review. “I’ve always said that land claims and assessments are a relationship, not a contract,” he told the Star. Yukon MP Ryan Leef has said he supports calls from the First Nations to hold hearings in the territory on Bill-S-6. The CYFN has threatened legal action if the federal law goes through as is. The controversial planks were added after a five-year consultation process with First Nations, which did not support the unilateral amendments. Valcourt said they are welcome to use the courts to further their goals. Liberal aboriginal affairs critic Carolyn Bennett said the Conservatives should start working with aboriginal governments instead of daring them to file a legal challenge. “The bill in its present form will really destroy the economic advantage and certainty in the region,” she said. It's like the old days when Ronald Reagan would make a statement and then his handlers would follow with "What the president meant to say was ..."
The Cons in Ottawa and on a lot of other places and especially here in Yukon the YP; act nothing short of little kindergarten bullies. The false majority doesn't give them the social license to do so. When is enough enough and when will these bullies resign and let real understanding and caring people bring Canada back to a real Democracy?